The Public Services (Social Value) Act could end up as a missed opportunity and more work needs to be done to encourage its use by commissioners and procurement professionals, delegates at the Labour Party conference have heard. The act became law in March and places a duty on public bodies in England and Wales "to have regard to economic, social and environmental wellbeing in connection with public services contracts". 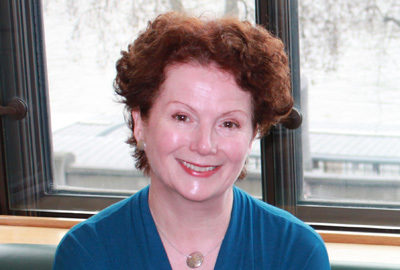 But at a fringe event hosted by the local infrastructure body Navca and the think tank ResPublica in Manchester yesterday, Hazel Blears, vice-chair of the All-Party Parliamentary Group on Social Enterprise, said she was concerned that many local authorities would not give it the attention it deserved. "The wording is weak," she said. "If they had to ‘take account of’ social value, that would have been a harder position. "We should all push this as hard as we can. I’m not sure it will be as well taken up in those areas that do not have champions. If we can get coordinated on this we could see incredible change." Joe Irvin, chief executive of Navca, said: "Just because it is an act of parliament doesn’t mean it will magically happen. We’ve all got to work at getting a culture change among commissioners and councillors. We as voluntary organisations have got to get better at proving we have impact." Gareth Thomas, the shadow minister for civil society, said that the coalition government was not committed to the new social value tool, even though it had become law. "The government has set up a commissioning academy but to my knowledge those people going through it are not yet being trained in the use of this legislation. This is a missed opportunity," he said. Irvin also told the meeting that the Labour Party needed to come up with a viable alternative to the government's notion of the big society, which he said had put Labour on the back foot. "The task for Labour is to work out how to respond to this," he said. "It has to come up with policies that appreciate the value of what communities bring and nurture voluntary action."